Ever see funny memes about the HSC and want to make your own? Are you trying to avoid study but can’t stop thinking about al the study you have to do? Meme about it! Hop onto Meme Generator and you can make a meme through an existing character or upload your own photos to play with! 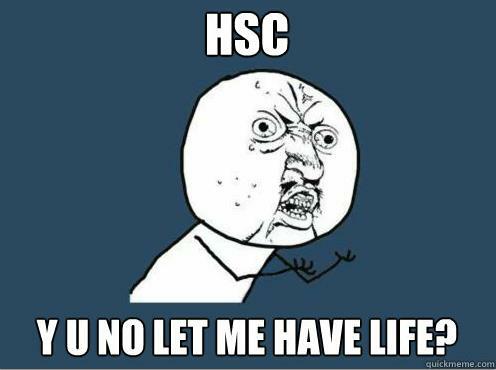 Let out your feelings towards the HSC through a meme and post it to HSC Memes or share it with your friends for a good laugh.